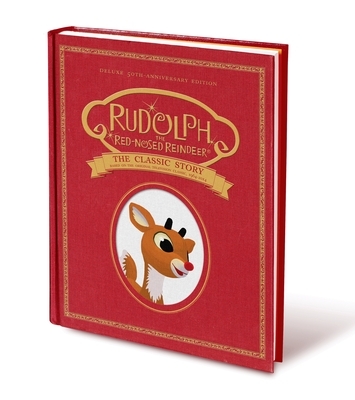 Here is the complete story from the classic TV show, gloriously illustrated in full color and in an elegant gift book edition. Perfect for reading aloud! Thea Feldman has written and edited hundreds of children’s books, including Suryia and Roscoe and Suryia Swims!, which she co-authored with Dr. Bhagavan Antle. She has also worked at the Wildlife Conservation Society where she researched and wrote about the animals in the Society's five urban wildlife parks in New York City. She is a former editorial director at Scholastic. Erwin Madrid was born in the Philippines and grew up in San Jose, California. Erwin earned his BFA in Illustration from the Academy of Art College in San Francisco. During his last semester of college, Erwin was hired by PDI/DreamWorks Animation, where he contributed production illustrations for the animated feature film Shrek 2. He later became a visual development artist for the ongoing Shrek franchise and the Madagascar sequel. Erwin has also done conceptual art for the video game industry for titles like Uncharted: Drake's Fortune. In his spare time, Erwin travels and paints whenever he has a chance. He currently lives in the Bay Area, where he continues to provide concept art for the entertainment industry.